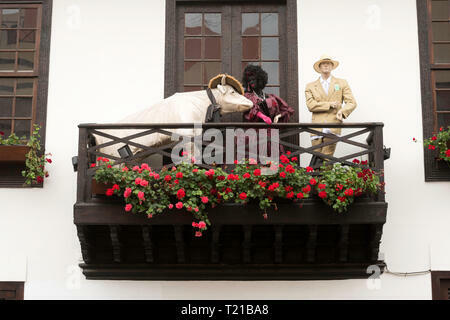 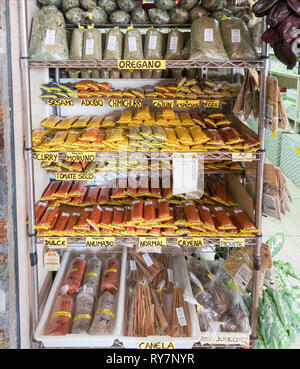 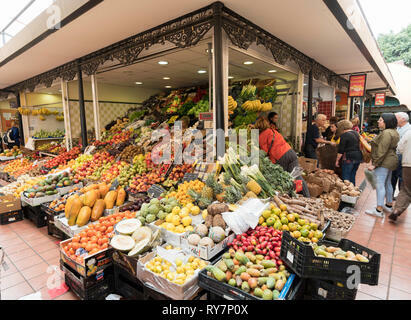 Display including a cow and male and female mannequins on a balcony above a restaurant in Santa Cruz de Tenerife. 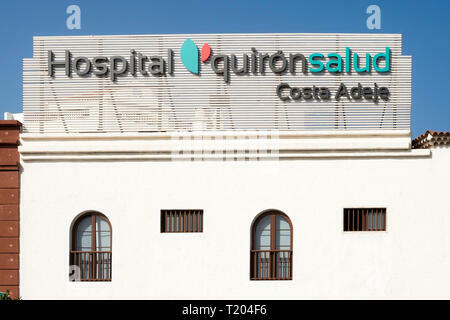 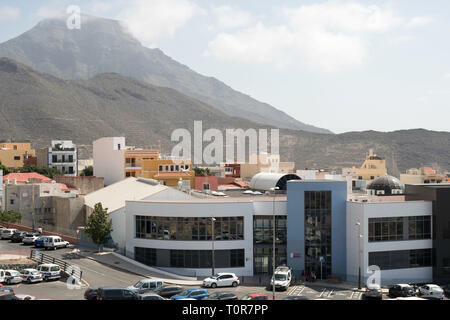 Quirónsalud Hospital Costa Adeje, Tenerife, Canary Islands. 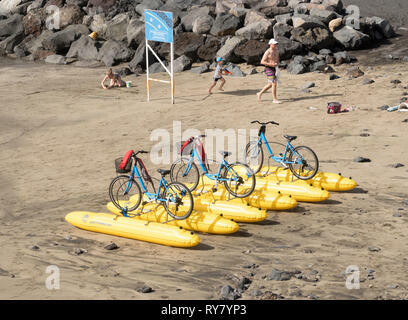 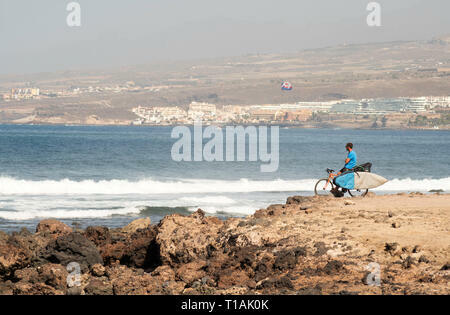 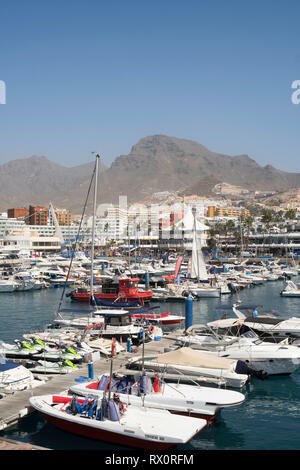 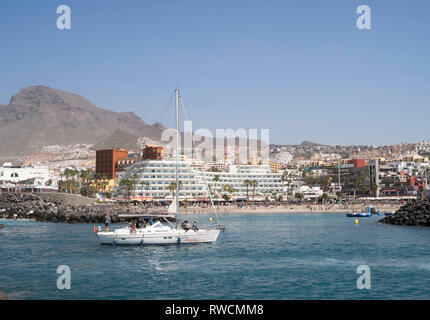 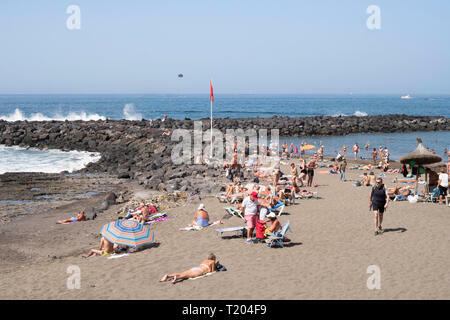 People sunbathing on the beach at Costa Adeje, Tenerife, Canary Islands. 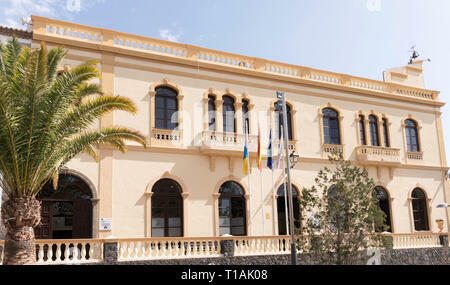 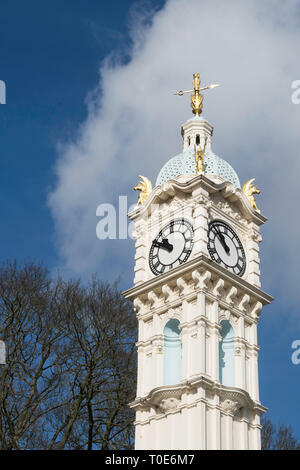 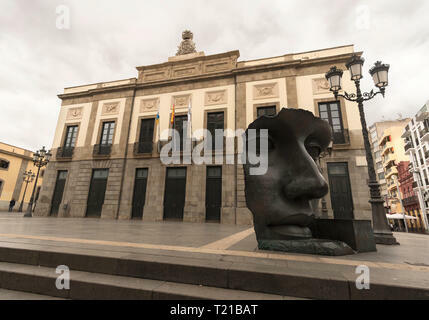 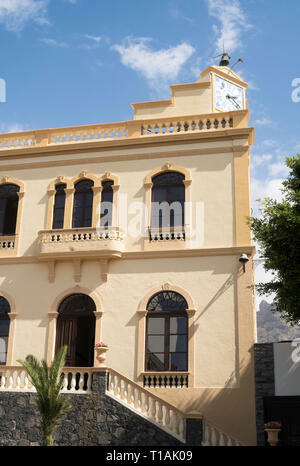 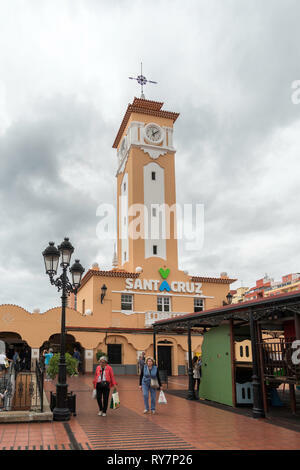 The town hall or Ayuntamiento in Adeje, Tenerife, Canary Islands. 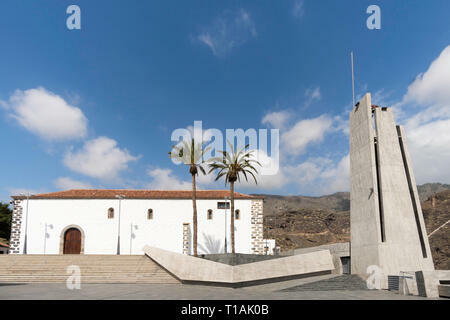 The church of St Ursula, La Iglesia de Santa Úrsula, in Adeje, Tenerife, Canary Islands. 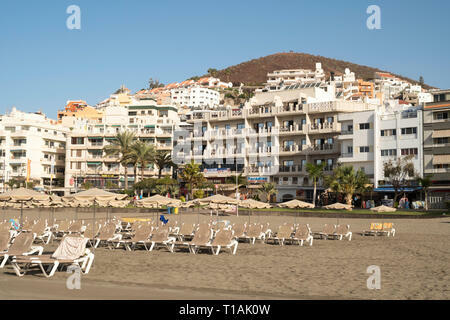 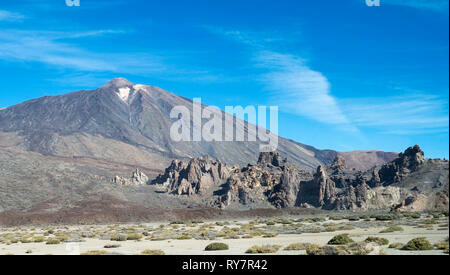 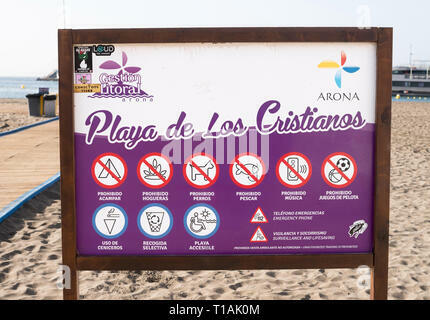 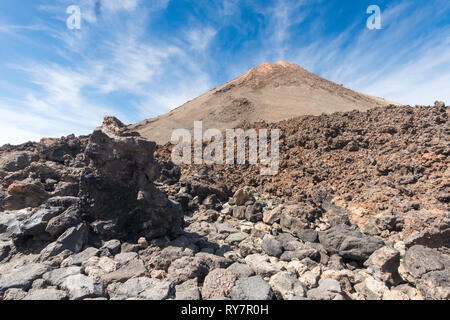 The Playa de Torviscas in Costa Adeje, Tenerife, Canary Islands. 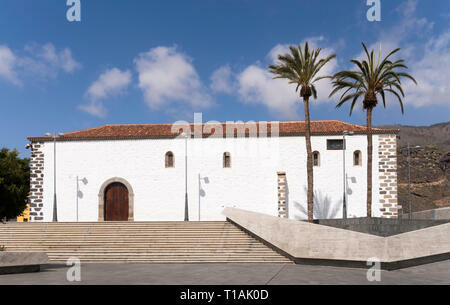 The Centro Cultural de Adeje, in Adeje, Tenerife, Canary Islands. 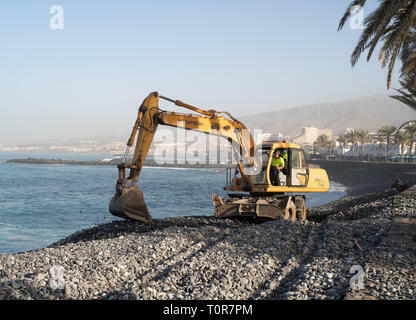 Hyundai R 170 W wheeled excavator maintaining sea defences in Costa Adeje, Tenerife, Canary Islands. 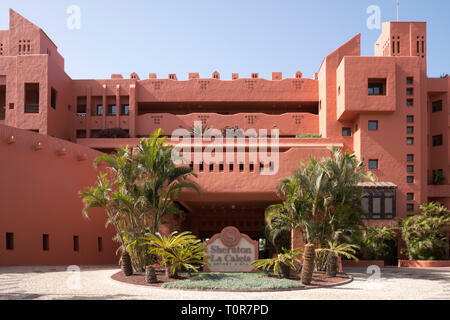 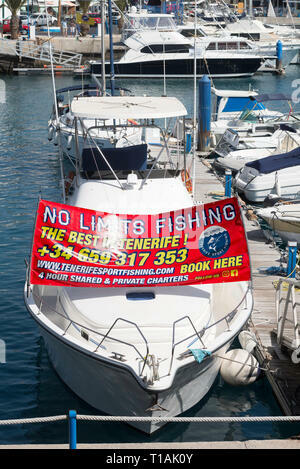 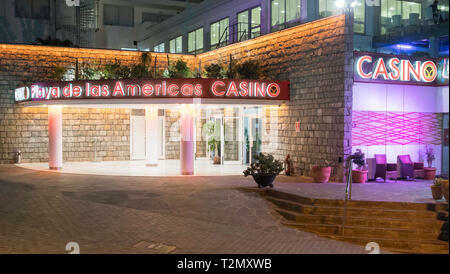 Sheraton La Caleta resort and spa in Costa Adeje, Tenerife, Canary Islands. 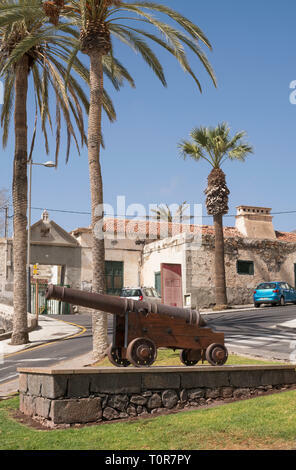 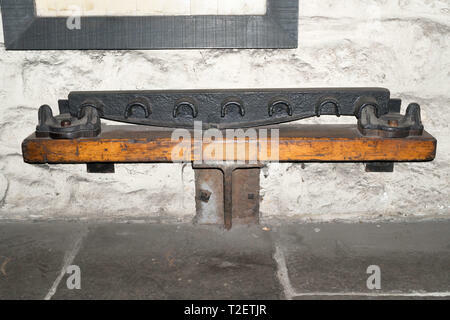 Old cannon outside Casa Fuerte, a fortified sugar refinery, in Adeje, Tenerife, Canary Islands. 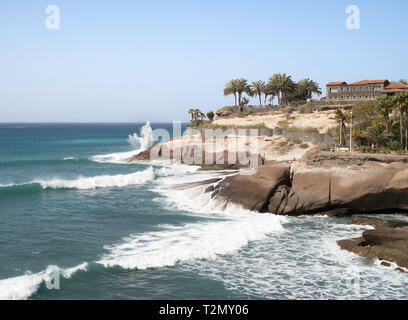 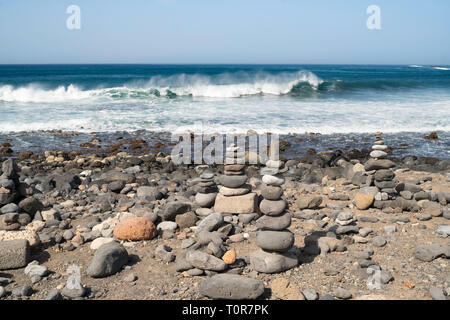 Waves breaking along the shore with stone cairns or piles of stones in the foreground in Costa Adeje, Tenerife, Canary Islands. 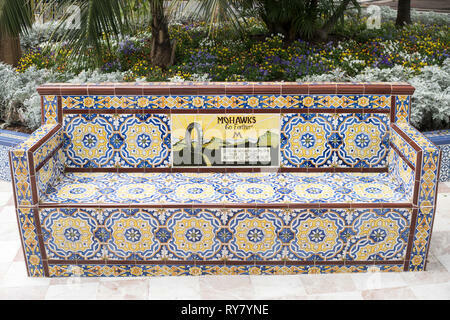 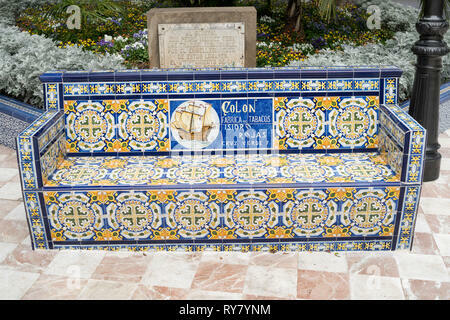 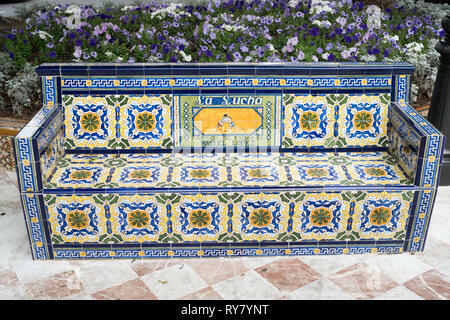 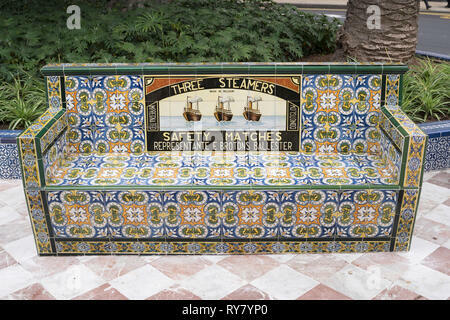 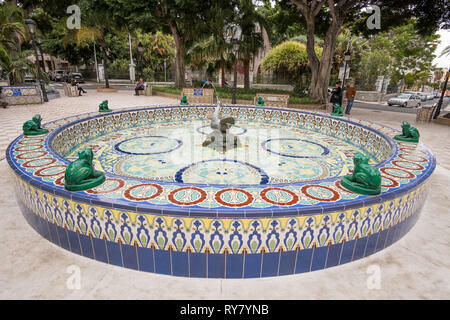 Old Three Steamers Safety Matches advertising slogan on ceramic tiled bench in the Plaza de Los Patos in Santa Cruz de Tenerife, Tenerife. 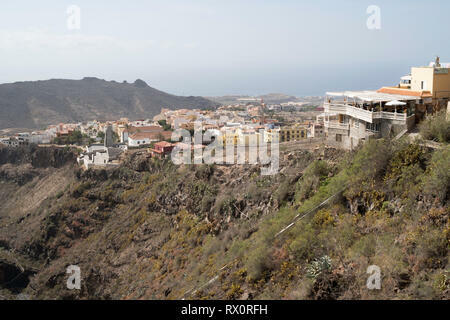 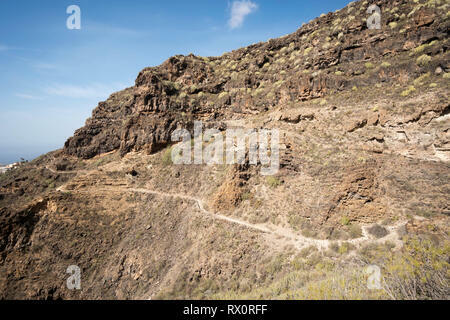 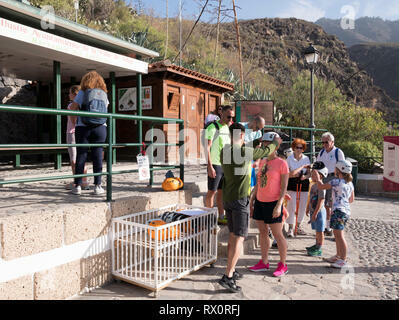 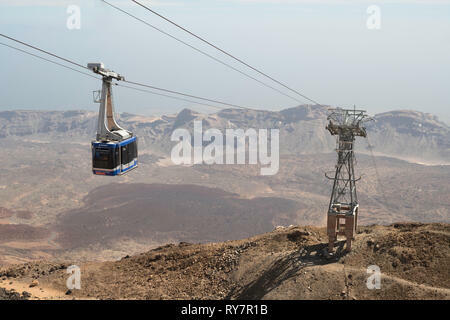 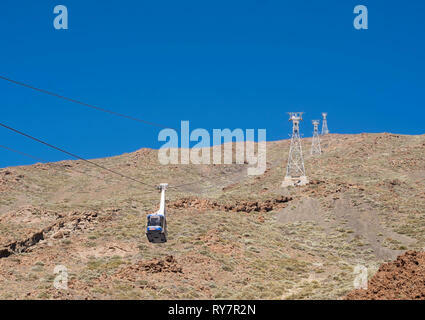 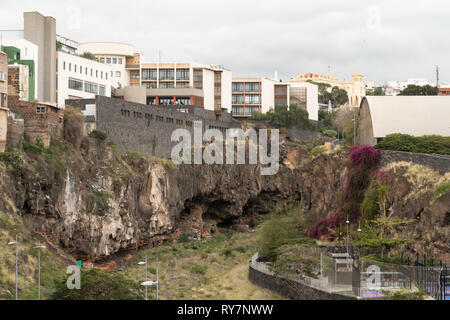 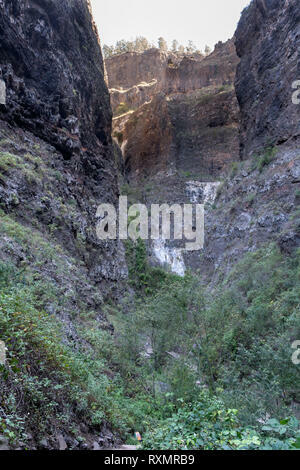 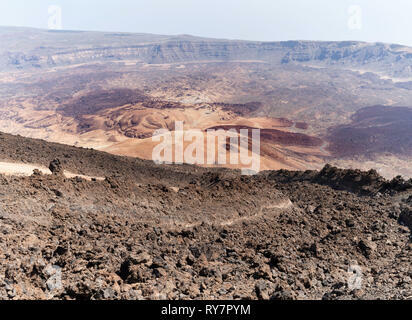 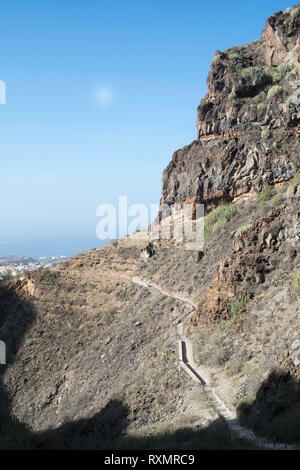 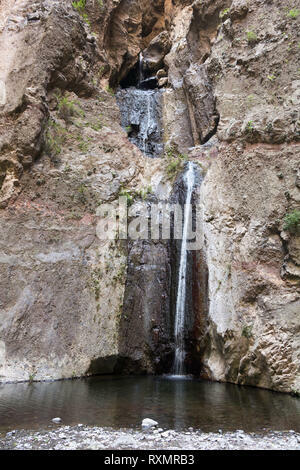 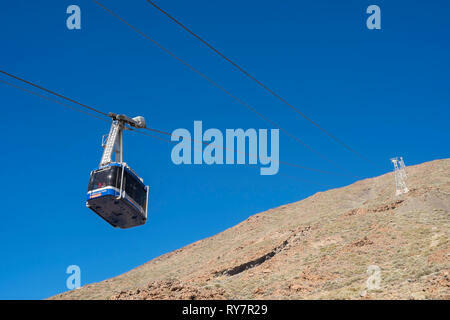 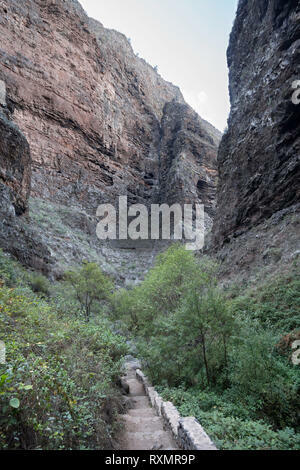 Groups of walkers follow the footpath along the gorge called the Barranco del Infierno, Adeje, Tenerife. 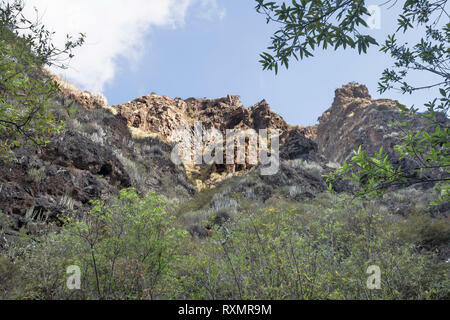 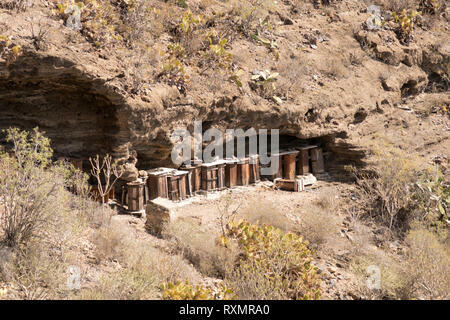 The walls of the ravine tower above the footpath along the gorge called the Barranco del Infierno, Adeje, Tenerife. 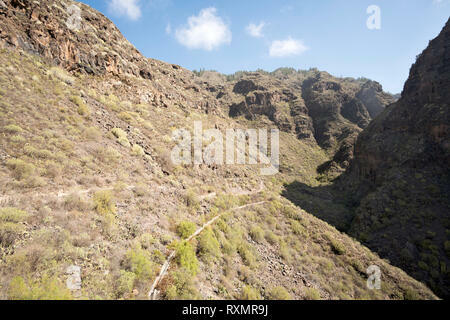 Footpath along the gorge called the Barranco del Infierno, Adeje, Tenerife. 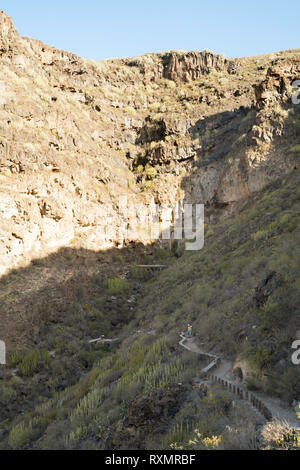 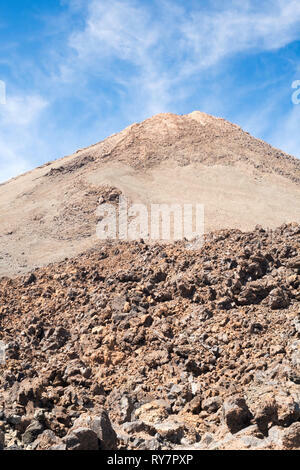 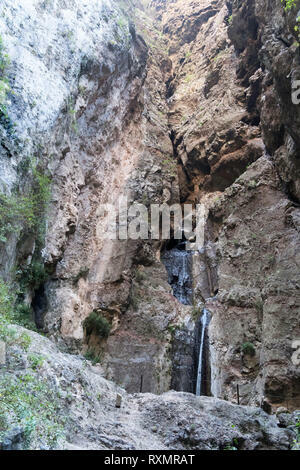 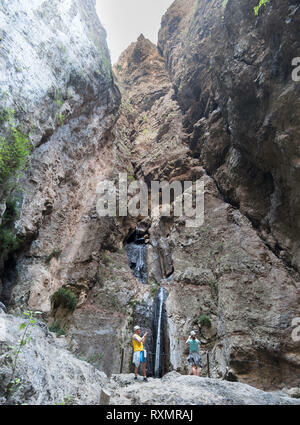 Couple on the footpath along the gorge called the Barranco del Infierno, Adeje, Tenerife.